What is prayer journaling? What is involved? How does it look? What do I do? Perhaps you find yourself asking these questions. And these are good questions to ask. In fact, when my wife first recommended journaling my prayers I had no idea where to begin. So I set out to find out how! I read different blogs, a few books, and a couple of articles on the web. What I came to find out is that there is no one set way to prayer journal. At first this disappointed me. I am of a practical nature, and when someone informs me of something that will help I really want a step-by-step list of things to do. So when I saw a variety of ways to engage in prayer journaling, I was not thrilled, to say the least. However, after spending some time searching for the way that called to me, I found that writing it out in a typical journal format was the best. Since then I have toyed with a few other ways, but I always return to, what I call, the traditional way. Do some soul searching:What makes you you? What causes you joy, sadness? Why do you get out of bed every morning (or evening, if you work overnight)? Some practical suggestions are taking a personality profile. Here is a website that offers a fun, basic personality profile. Spend time, and I mean thorough time, learning about you. When you begin to learn about yourself, how you react and interact, then you can begin to narrow down what type of journaling in which you may be inclined to engage. For example, I am introverted. When I am around a lot of people I get exhausted! I like to think, to contemplate. I enjoy crafting a thought and then writing it down in a journal. The same applies to my prayers. I spend time thinking of what I am going to say to God. What makes you you? Finding you is a great place to start on your prayer journaling journey. For others who are artistically gifted, art may be the avenue in which they pray. If they need strength for a difficult time, painting a picture of a field with a rock while meditating and praying to the God who is their rock may prove to be helpful. The bottom line is to find out who you are and then proceed to the type of journaling. I’d also recommend taking an Emotional Quotient test and a multiple intelligence test. Find out what method is better suited for you:When you are looking for a certain prayer journaling method, it is important to find one that is best suited to you. I’ve already mentioned discovering the youness of you, so that should be a factor. With that being said, people are at different stages of life. A college student can do things that a married mom with four kids and a job cannot. A stay-at-home dad may be able to spend more time engaged in his method, while the executive wife has little time. So, what stage of life are you at? What is the freest part of your day? Do you have access to a physical journal? Will you use electronic means? Will you use a traditional journal? A laptop? Or a canvas? The possibilities are boundless. Do you have the ability to write? Or do you prefer painting? Not only should the specifics of the journal and the means of journaling come into examination, but also the time. What does your life best equip you for? Does your career demand work regardless of time? Do you maintain a 9-5 job? Learning the best time to journal is as important as journaling itself. Being consistent is the key to helping you in your walk as well as deepening your perception of God. In the initial stages, utilize several different methods for certain periods of time:Begin by finding two or three methods. Research them, explore them, read about how different people do different things. And then set up a time to try them out. Be realistic here, because if you determine to use a certain method for a year you may never branch off and find anything new! Perhaps two weeks would be a good place to start. After you understand the basics of the method, then begin practicing that for two weeks. Avoid the temptation to jump back and forth. Stick with one long enough to where you can work out your own kinks and also get an honest evaluation. If at the end of that period you don’t like any of them, find some new ones! When you truly start, go all in:Once you have found your method, go all in! The time to play it safe is over. It’s the third period (that is a hockey reference, in case you did not know!) with a minute left of play and your chance to bag the game and head home in victory. Now, does this mean that you determine to spend seven hours a day journaling your prayers to God? Well, probably not. Of course you may have that free time, in which case, more power to you! But if you are like the average individual, your time is limited. Once you find your method, that extension of you, then go all in! For example, I love the traditional way of journaling. I’ll share the practical aspects of that soon, but one of the elements I love about journaling is its artistic nature. I love calligraphy, I love drawing. I love felt-tip pens. There is something aesthetically pleasing when writing with one. I love the old world: leather-bound books, verbose works, and beautiful handwriting. So I use a leather-bound journal, I have a felt-tip pen (thanks Mrs. Burnside! ), and I love crafting the beauty of the written language as I create a prayer to God and an extension of myself. If drawing your prayers is your preference, then get quality materials for the art. Make it a beautiful extension of your soul to God’s. Imagine the training required for a marathon. A lady trains for months, years, to take on that arduous task. Training, nutrition, proper sleep all play into the success or failure. In a similar way, the ground work for prayer journaling is more important. Our goal is to connect with God on an ever-increasing, intimate way. Like a crazy person, we could just wake up one day and decide to run a marathon. And like a crazy person we would fail. Just as a marathoner spends time in preparation, so you and I need to put in the work of learning who we are, what methods are appealing, how they look practically, and then when to run the marathon. Once you’ve reached this point, your prayer life will change. What about you? What have you found helpful on your own journey in prayer journaling? Prayer Journaling, as I mentioned in a previous post, completely transformed my prayer life. But how? What are the benefits? Certainly, prayer journaling is not for everyone. However, I (and others) have found it to be immensely helpful. Here is a small sampling of the benefits I personally found. I’d love to hear yours! Please comment below! It helped with my consistency. I am somewhat disciplined. I have consistently worked out since I was eighteen. And when I say consistently, I mean consistently. One year I recorded the temperatures of the room in which I worked out. The high for that year was 118° and the low was 18°. I even woke up early on Christmas morning to get my workout in! With that being said, I struggled with prayer. But as I began to journal my prayers, I began to look forward to it more and more. There is something about writing a letter to God, focusing my thoughts into a meaningful conversation with him. And the desire increased the more I journaled. It helped with my actual prayers. 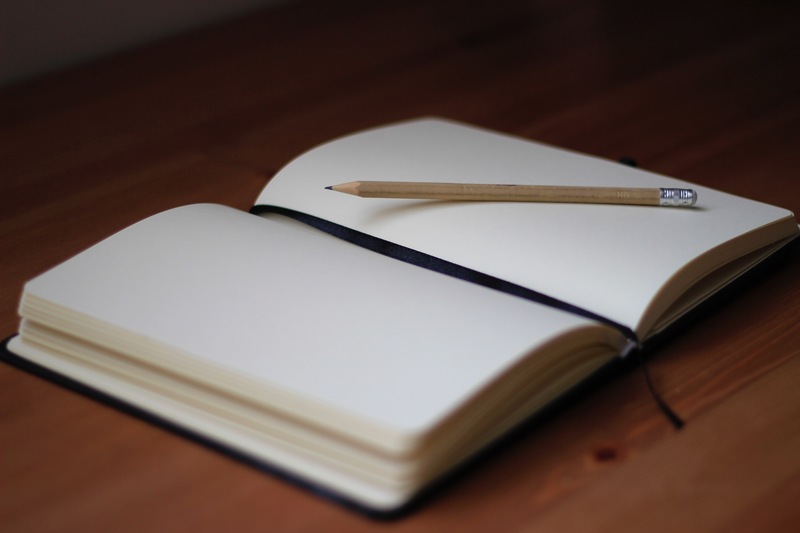 A fellow blogger mentioned that journaling helped her not be so repetitive. I couldn’t agree more! When I began prayer journaling, my prayers became more focused. No longer did “Father”, “Lord”, “please help so and so…”, fill my prayers. Now my prayers are focused. They are well-thought out. They are precise. And I love it. My prayers are precise. And I love it. It helped with my closeness with God. I don’t know if others have found this to be true, but there is, for me, a certain reverence when writing to God. I feel his presence, that calm, still, small voice, right there with me. It is always quiet, as I tend to wake up early to spend time with him. It helps focus my thoughts. Sometimes my mind wanders! I know, surprise! This affliction besets us all, I am sure. But prayer journaling has relieved me of the stress and worry of, “What did I say last?” Instead, a brief look down at my journal is all it takes. I see where I last left off, and pick it right up. It’s like a written bookmark of my soul as it is being poured out to God. It provides encouragement for the future. Whenever I look back at some of my older journals, I am always encouraged. My prayers become more focused overtime. My walk with God deepens, and I feel a closeness the longer I spend time with him. Whenever I remember a problem I faced, I return to that period in my journals. I am always excited. I saw God work in that time, and now, with that knowledge, I can look forward to what he has ahead. I ask again, how has prayer journaling helped you? May God sweetly guide you on this journey! There were so many mornings I would get up early, before work, and try and pray. I would fall asleep, get distracted, or simply get involved in preparing for work that I would remember three hours into my shift that I had failed to pray. I was frustrated at my own lack of self-discipline and my weaknesses. How do you journal prayers? If you are of a crafty bent, check out Sparkles of Sunshine. Journal my prayers? Journal? I admit, I was incredibly doubtful. I grew up in a church where long prayers were seen as spiritual prayers. Added to that the over usages of ‘God’, ‘Father God’, and ‘Lord’ and you had the right formula for a good prayer. But Journaling? How would that even work? A journal and pencil. I use a pen, but this gives you an idea of what I use. looking journal. It was a brown, faux leather journal of about 180 pages. And then I started. It was weird at first. Instead of speaking verbally to God I was writing to God. What do I write? Is God going to read my prayers? In my mind, however, I was speaking to God. The pen and paper were simply a means to help focus my thoughts. I cannot overestimate how helpful prayer Journaling has been. Almost over morning (I pray in the mornings!) my prayer life changed. I was amazed! After years of being a Christian, years of failing, I had finally found a perfect avenue for speaking to our Father. The longer journal my prayers, the more beautiful it becomes. What has helped your prayer life? Have you ever journaled your prayers? I’d love to hear about it! Also, be on the look out for my thoughts on the benefits of prayer Journaling! Brandon Adams replied with a great thought, “Journal entries become altars to God’s faithfulness in our lives.” In addition, Brandon has some great helps on prayer. Check him out!